We pull out all the stops so that you meet your target. The huge project we undertook for a prestigious tertiary education institute says it all. 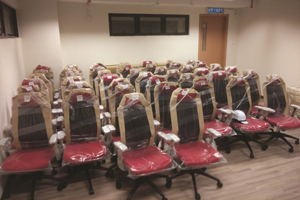 Our client wanted over 3,000 furniture units (with more than 1,000 SKUs) installed in its premises which were then still under construction. The project was made more complicated by several unforeseen obstacles and a tight deadline. Here’s how we did it. The daunting task called for very close coordination with our client. We prepared a work-in-progress schedule and tightly monitored it. We also requested for an onsite storage room to house the huge amount of furniture to be delivered and stored in segments, according to when each item would be installed. 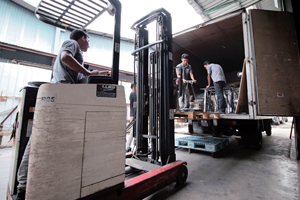 Almost daily, KIAN’s trucks delivered loads of furniture to the site from our Malaysian store and from our China factory. Despite the challenge of getting our shipments from China cleared on time by the Customs Department, the batches were sent in according to an agreed schedule. During the entire project, we stationed dedicated onsite project managers who tackled several unexpected setbacks along the way. We also had a standby workforce of 4 to 10 people ready to move at a moment’s notice. They unpacked, carried and installed the stored furniture items floor by floor, area by area, as the construction of the building progressed. 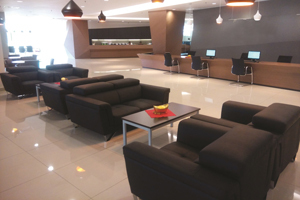 Every piece of furniture was in place within the 3 months, and we had a happy client. 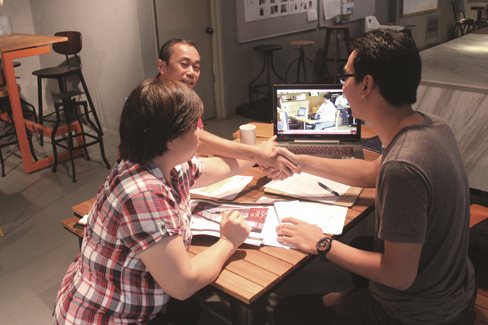 Smoothly completing a project of that magnitude called for uncommon teamwork, constant communication, and intense commitment among the workforce. That’s how we do it. We work to overcome hitches.